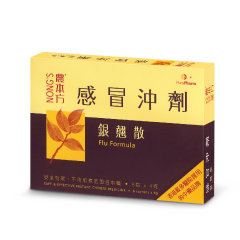 Nong’s® Cough Formula can effectively soothe sore throat, hoarseness and shortness of breath due to coughing. 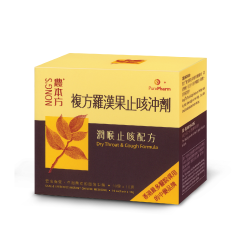 It is especially suitable for relieving cough with viscous phlegm or with difficulty in expelling phlegm, etc. This formula is extracted from the Medical Revelations (Yi Xue Xin Wu: 醫學心悟), a text written by Cheng Guo Peng (清代名醫程國彭), one of the most renowned practitioners of the Qing Dynasty. The formula is very effective and highly regarded by practitioners over the years. The formula was passed on from generations to generations up till this date.